Sweet redemption! 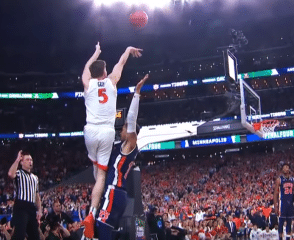 A year after one of the most famous losses in college basketball history, the University of Virginia Cavaliers became the 2019 National Champions after defeating Texas Tech in an overtime thriller, 85-77. After becoming the first 1-seed to ever lose to a 16-seed, Virginia had 2 choices: 1. Drop their heads and sulks, or 2. Learn from their experience, grow from it, and use it as motivation going forward. They chose the latter. Click on this link to download the basketball plays! So as they saw their 10-point lead late in the game evaporated and turned into a 3-point deficit, they didn’t panic. They didn’t drop their heads. They knew they had been there before. They had been down double digits in the first half in their first round game to Gardner-Webb (another 1-16 matchup). They were down late Purdue, and needed a miracle to force OT, where they would eventually win. They were down late to Auburn. They had been here before. So, down 3, with less than 20 seconds to go, they executed and De’Andre Hunter delivered a huge 3 to tie the game and force it into OT. The win gave the University of Virginia and Coach Tony Bennett their first chance to be the 2019 National Champions. 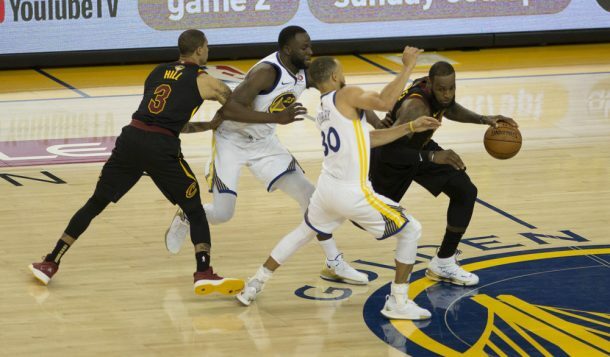 While they have been known for their staunch “pack line” defense, their offense delivered when it was needed in the tournament. Great coaches find ways of making adjustments late in their year as counters to stuff they already have in. A great example of this is Virginia’s counter to an “Elevator” set that they used to during the season. They used this counter at an important point in the game vs. Auburn to extend their lead to 10 with 5 minutes to go. It was a small adjustment that made a major impact on the course of their season.